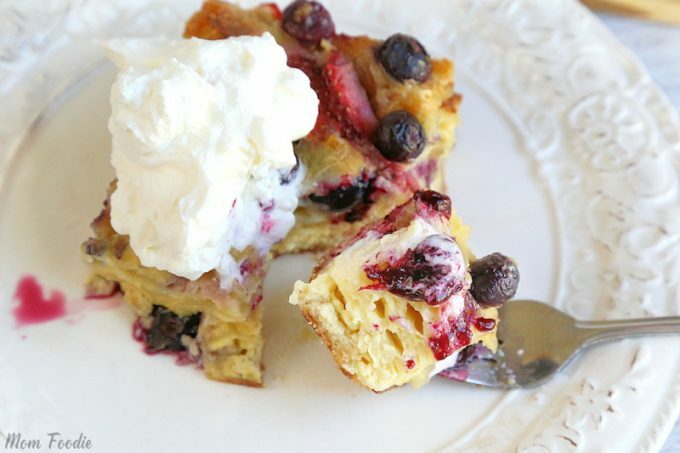 A breakfast casserole is a nice meal to start your day off, especially this Berries and Cream Croissant Breakfast Casserole recipe from Mom Foodie. It’s a delicious cross between creamy custard and a coffee cake. This recipe is great if you are heading over to a family or friends house at a get together or celebration. They are also great to reheat for lunch at work days.